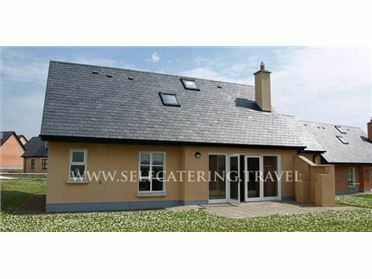 This fabulous 5 bedroom dormer bungalow is located approximately 4km from the village of Kinvara in South County Galway. The house is tastefully finished with granite topped kitchen, open plan style living rooms, polished wooden floors and modern dÃ©cor. The nearest shop, pubs and restaurants are in Kinvara village offering a great selection of freshly caught fish. There are a number of Golf clubs with a short distance with Gort Golf Club being less than 7km from the property. As Kinvara is by the sea there are also a number of beaches close by with Traught being only 9km from the property..